There are numerous ant species in the UK. However, the black ant (garden ant) is the most common species found entering premises. The black ant lives in colonies and will forage over large distances. The soldier ant leaves a scent trail for the others to follow if the soldier ant finds a food source. It is important to understand how the varying species behave. For instance, while the foraging worker ants as already mentioned travel widely in search of food with sweet foods preferred. They follow well-defined trails clustering around the food source causing damage to food. 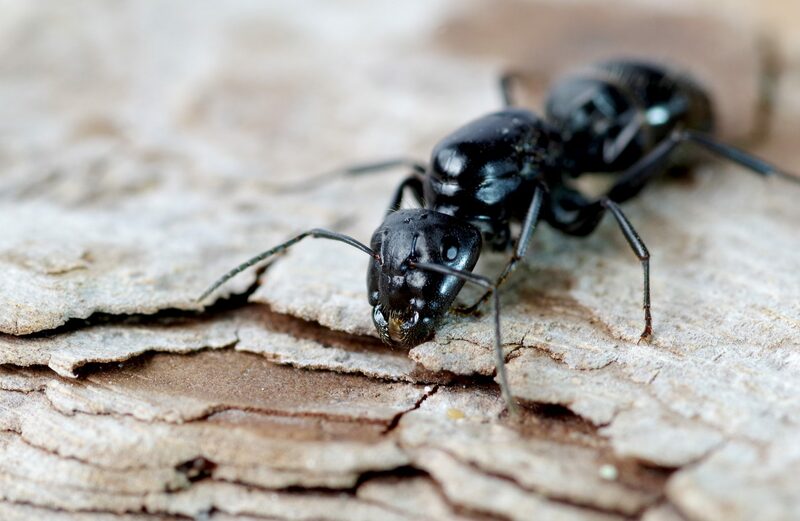 While the black ant (garden ant) would appear harmless, unfortunately, they do carry harmful bacteria which can contaminate. Mating swarms mate on the wing, the female new queen ants are the larger flying ants. The female ants will find somewhere to lay eggs to start a new colony, However, contrary to popular belief these ants do not sting. The smaller swarming ants are the male ants. Ants die at the end of the year, however, if the weather is exceptionally warm black ants will peter off during the year. N.P.C. Trained Surveyors will recommend the course of action to be taken where an ant problem occurs. Our client base varies considerably from factory environments to hospitals and food manufacturers and also domestic clients. Our trained Technicians will provide advice on the course of action to be carried out by the customer, and where necessary the Technician will carry out treatments with insecticides. Problem with The Black Ant?